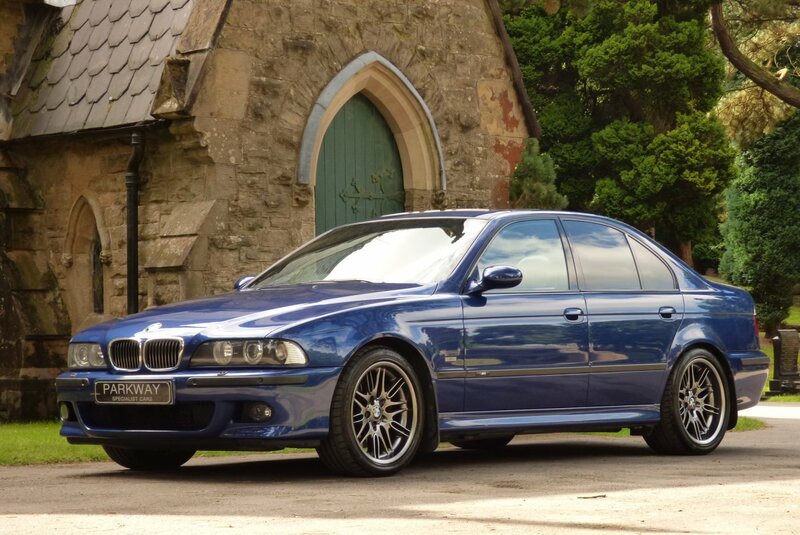 The Fabulous BMW M5 V8 E39 Was Introduced To The World At The Geneva Motor Show During 1998 And This Third Generation Monster Created From The BMW M Department. 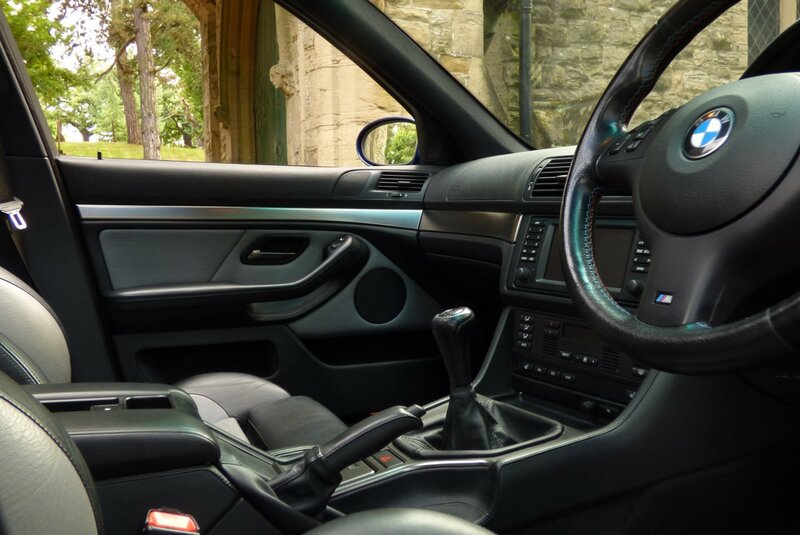 The Four Litre V8 Produced A Very Healthy 400 Brake Horse Power Which Was Capable Of Offering A Huge Top Speed Of 155 MPH, An Acceleration From 0-62 In Just 5.3 Seconds And Would Offer Impressive Mid-Range Acceleration From 50-75 MPH Cruising In Fourth Gear In Just 4.8 Seconds. 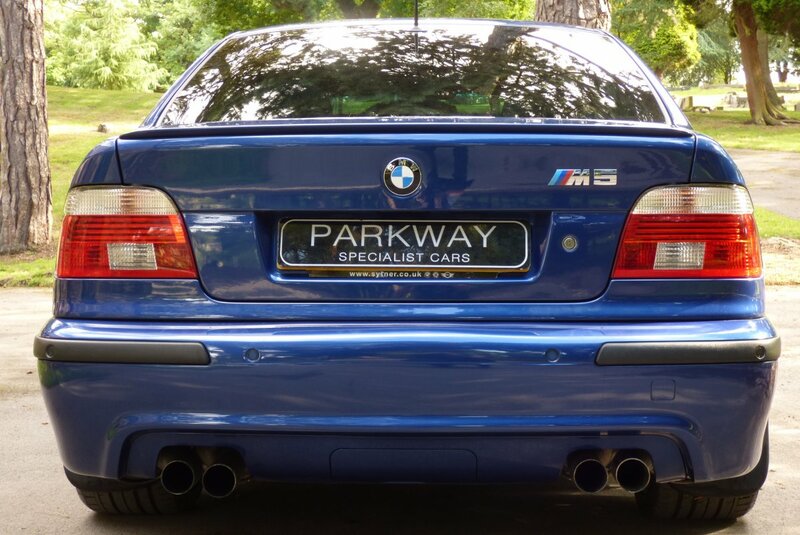 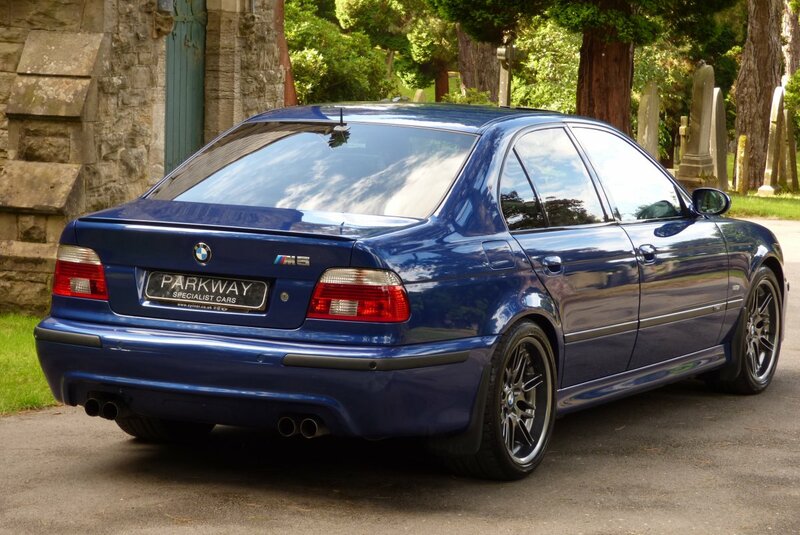 The M5 Is Still The Quintessential BMW M Car That Came From The Factory, With Understated Looks Combined With Incredible Performance That You May Expect From An All Out Sports Car, That Offered Buyers Dynamic Driving Experiences, Time And Time Again. 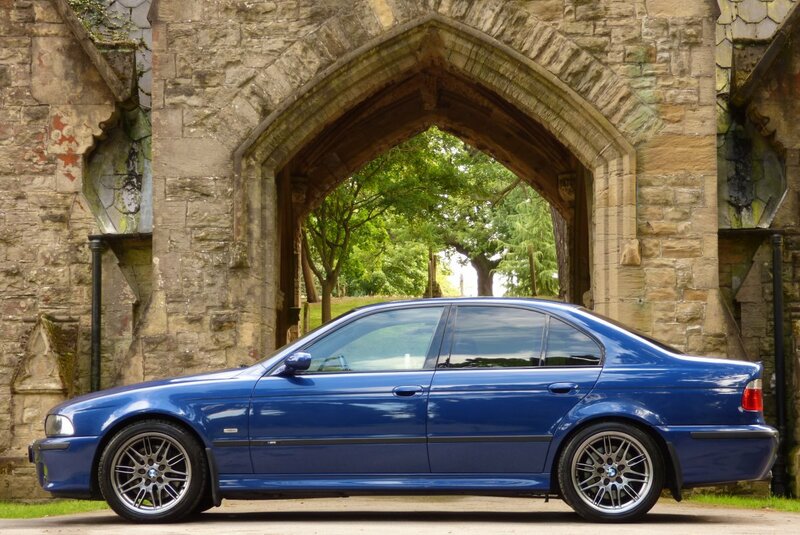 A Global Total Of 20,482 Vehicles Had Been Planned To Come Off The Production Line Between 1999 To 2003, With Many Destined For The US Market, But Still Like Today The Interest From Buyers In The UK Have Been Strong On The Basis That The Car On Offer, Would Be Presented With Faultless History And Perfect On The Condition. 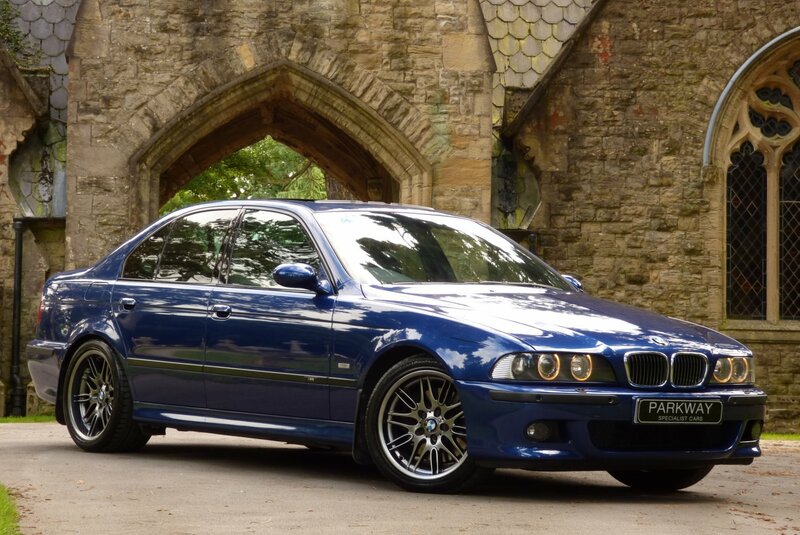 With This We Are Delighted To Offer Onto The Market Place And Our Exciting Vehicle Inventory This Remarkable Find. 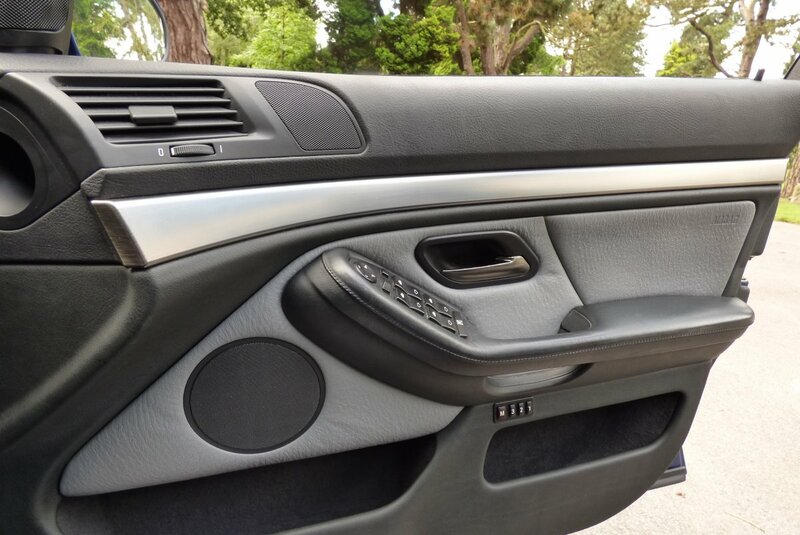 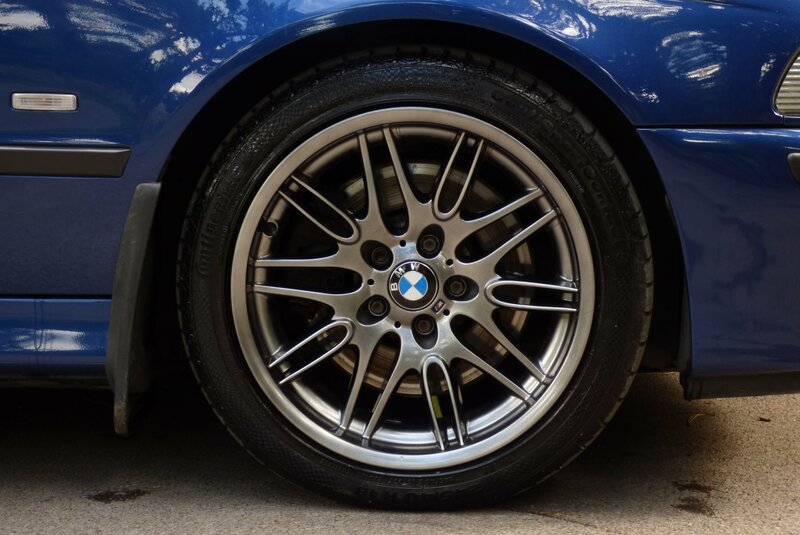 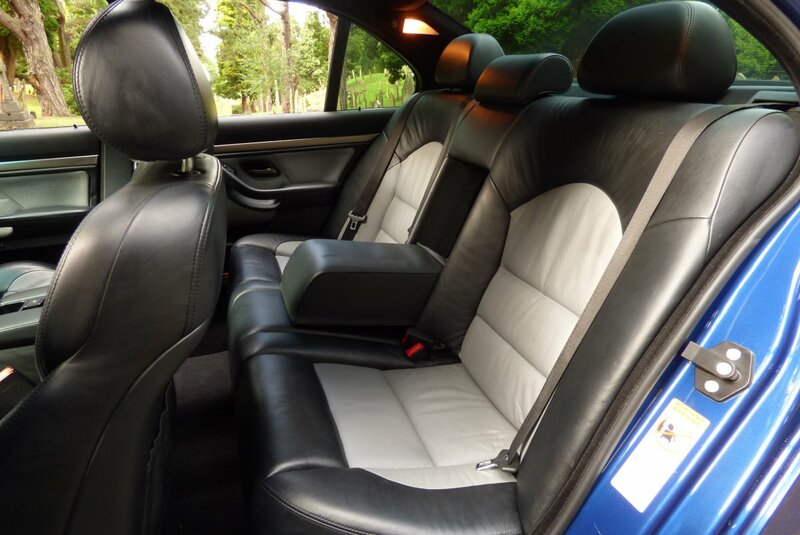 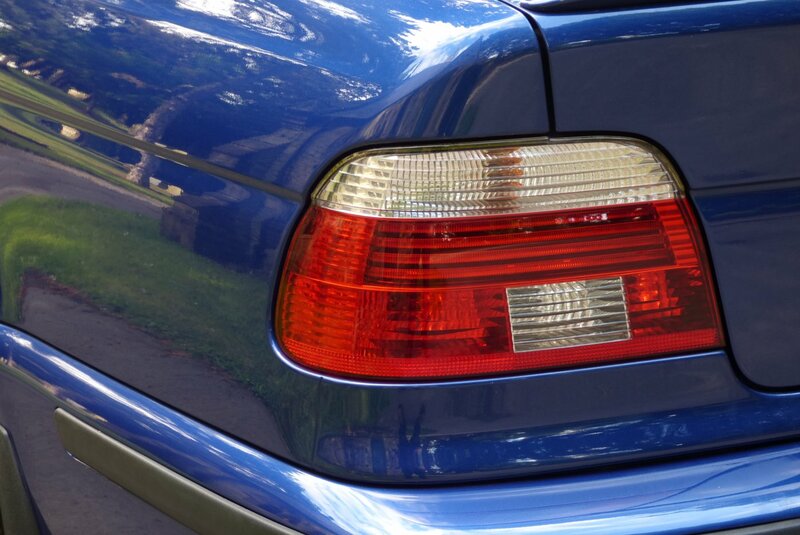 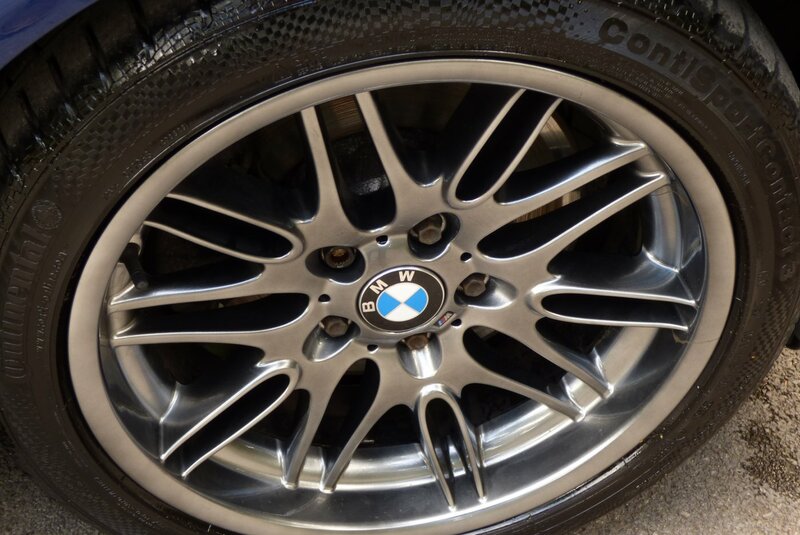 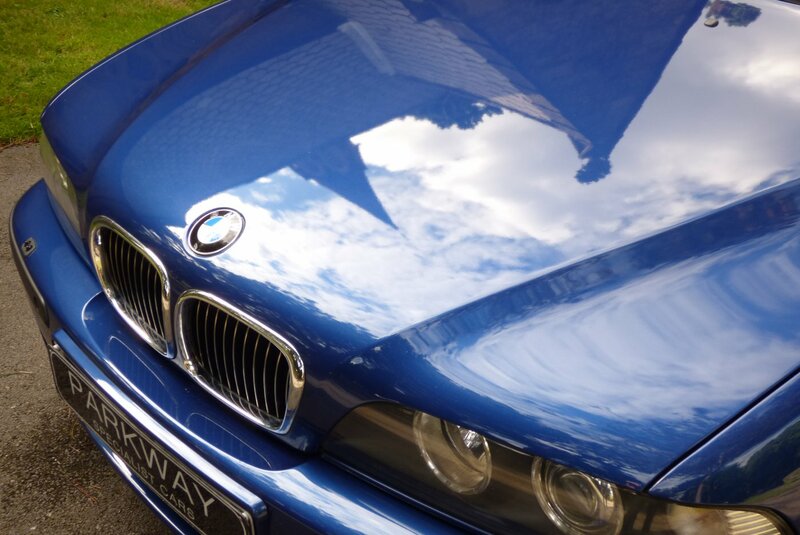 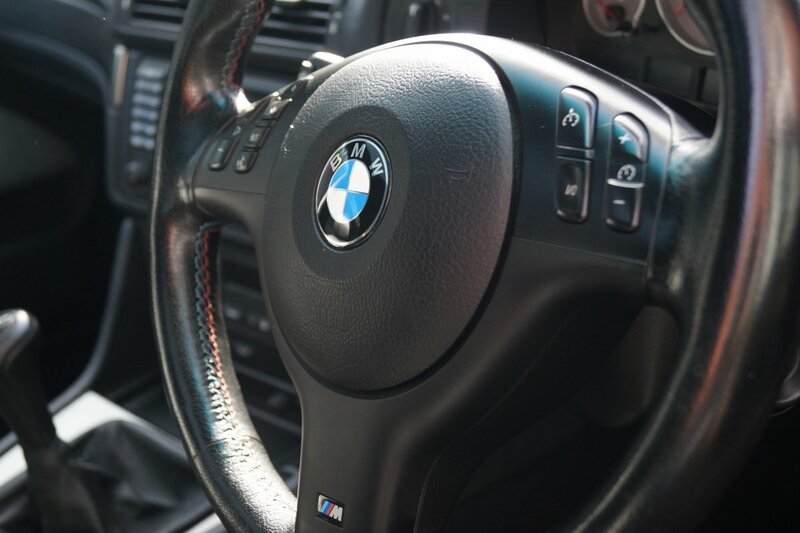 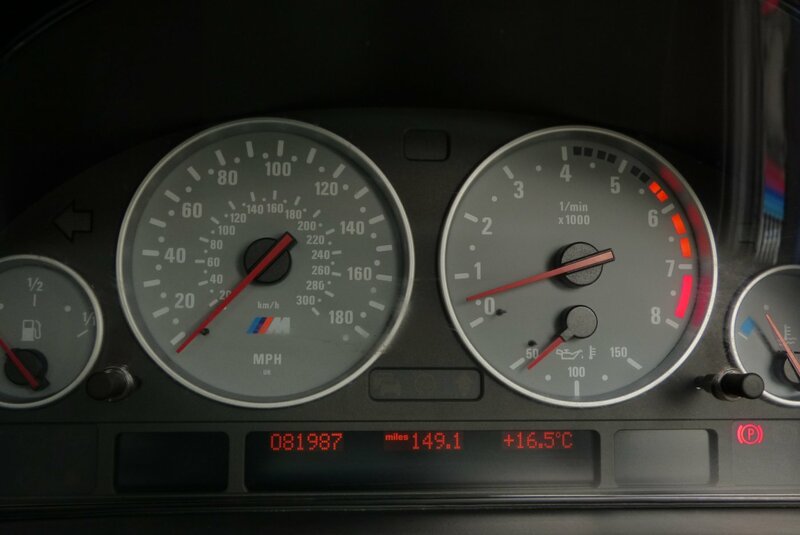 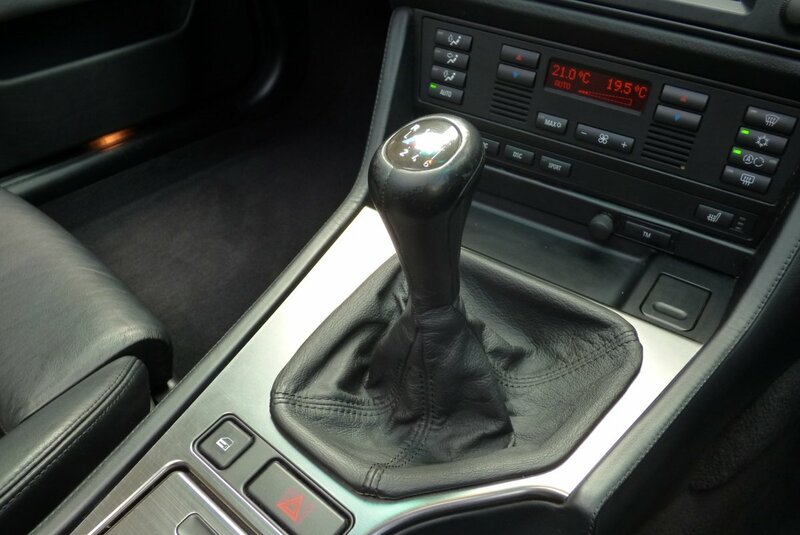 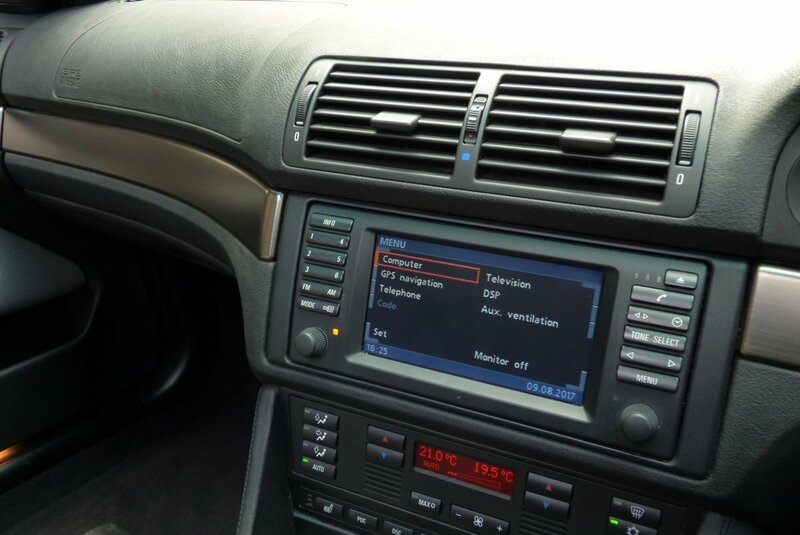 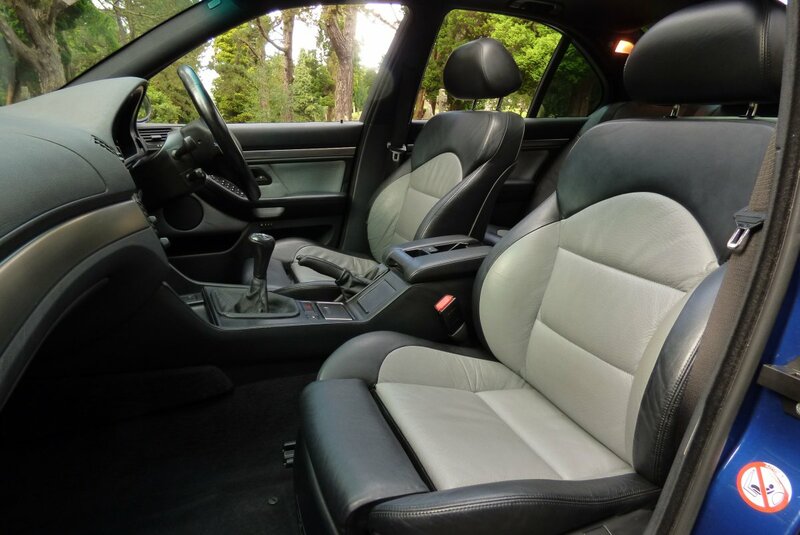 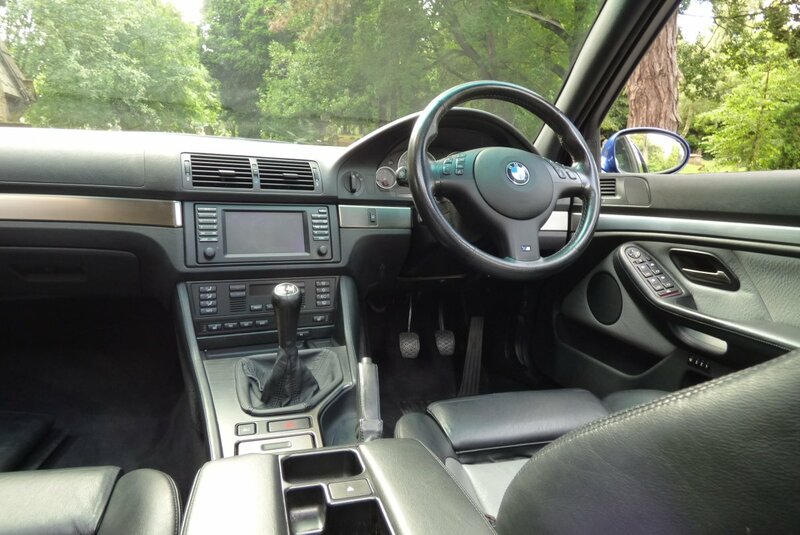 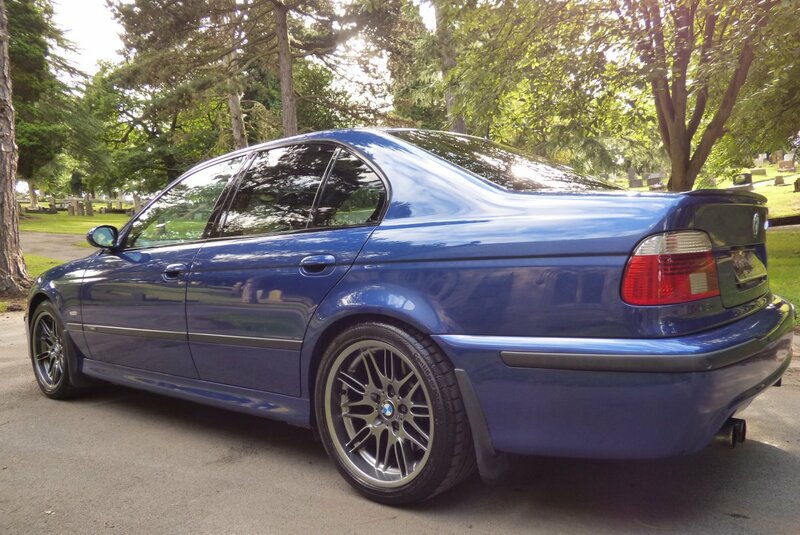 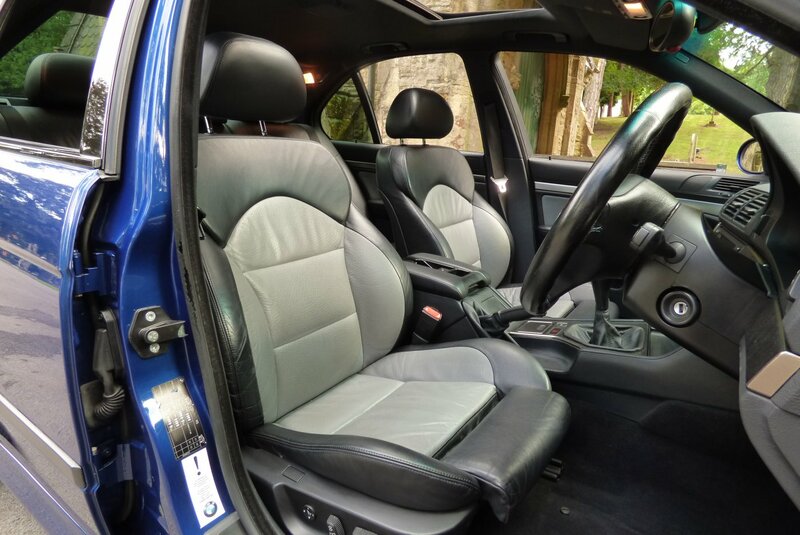 The Car Was First Supplied By Douglas Park BMW In The December Of 2001 And Is Presented In Stunning Total Condition With The Perfect Past BMW Main Dealer Service History With Historical Service Visits Logged At 2412, 10950, 20328, 33273, 47645, 59399, 71835 & 80563 Miles, With The Last Completed By Sytner BMW Nottingham In October 2016.  The Car Upon Sale Will Also Be Presented To The Next Lucky Custodian With The Entire Booklet Pack Set, A Factory Build Card, A Complete Tool Kit, A Fully Cleared Hpi Certificate And The Entire Keys. 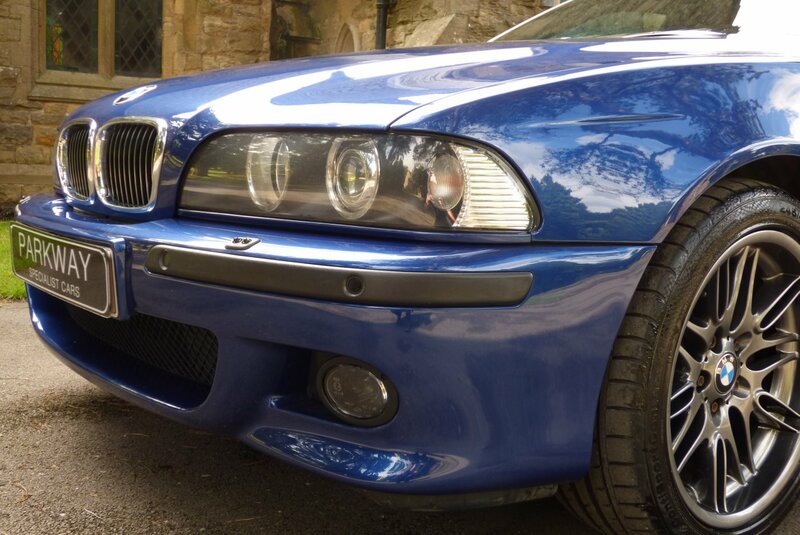 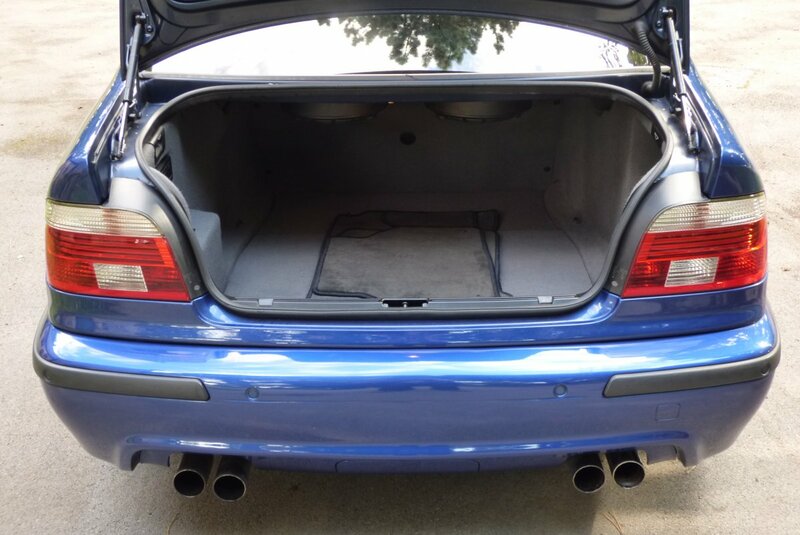 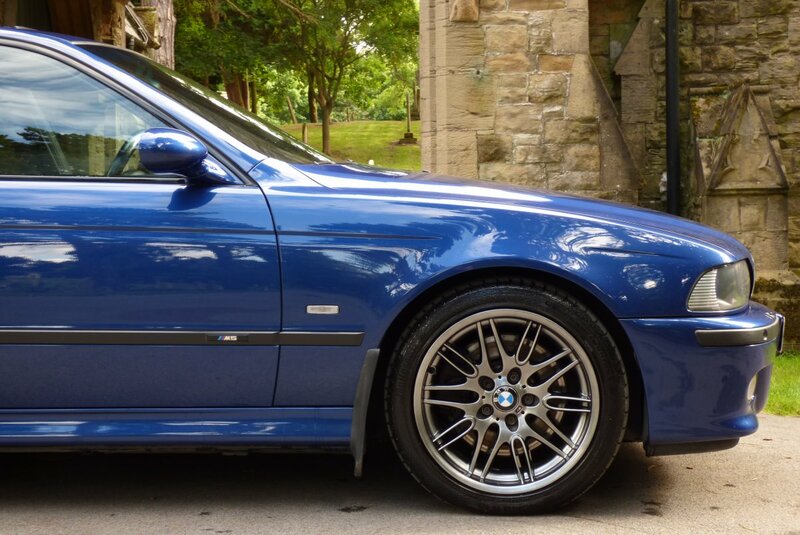 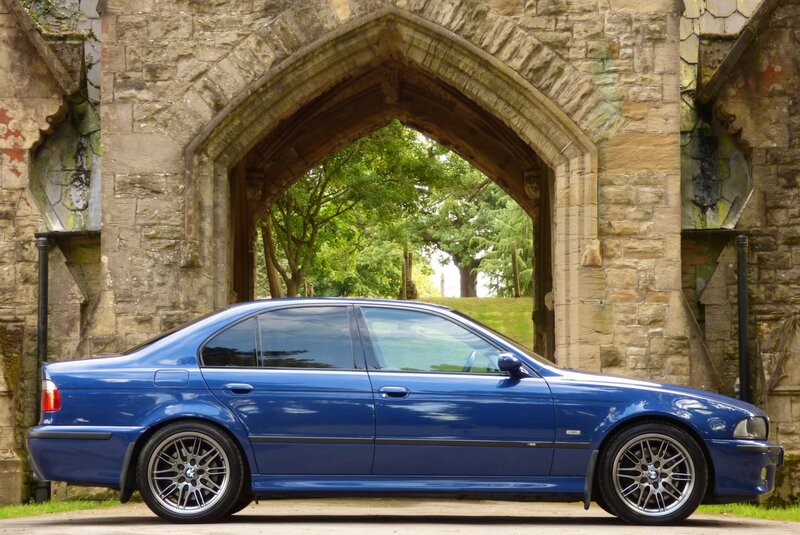 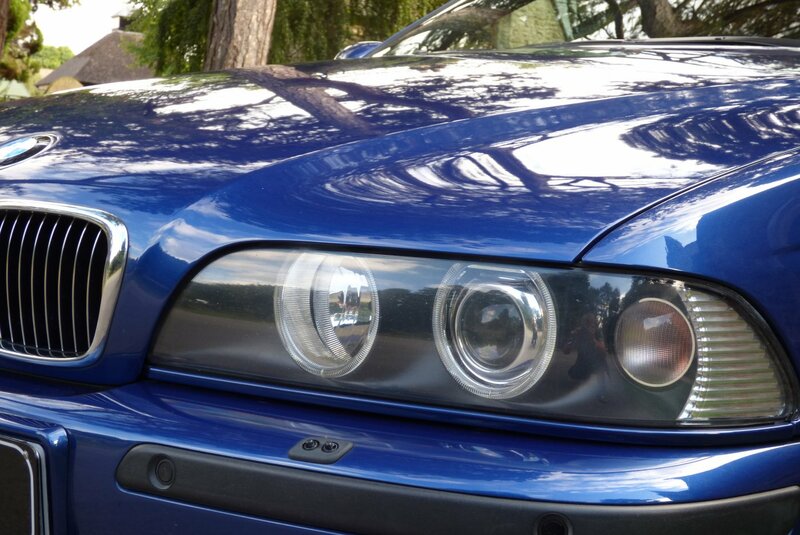 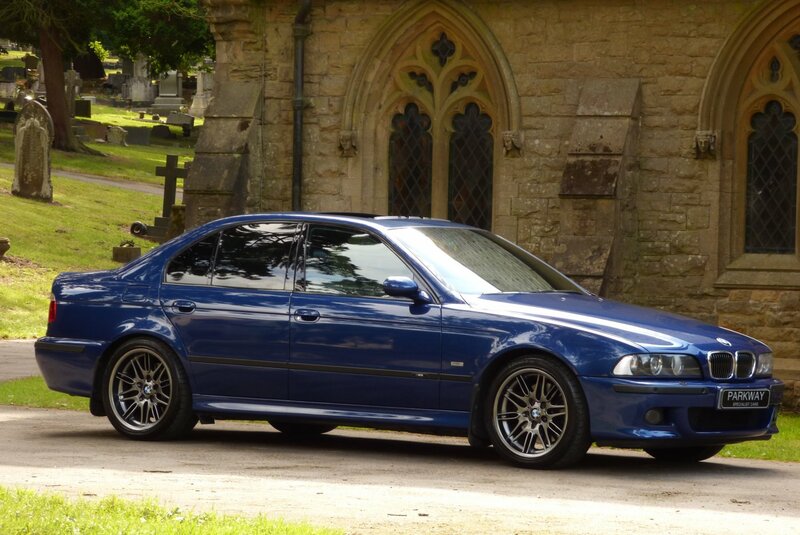 The Supreme And Unpretentious BMW M5 E39. 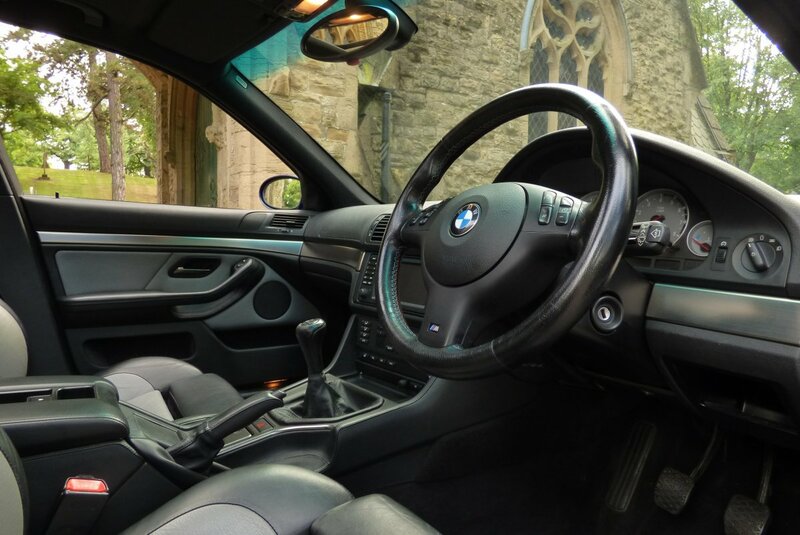 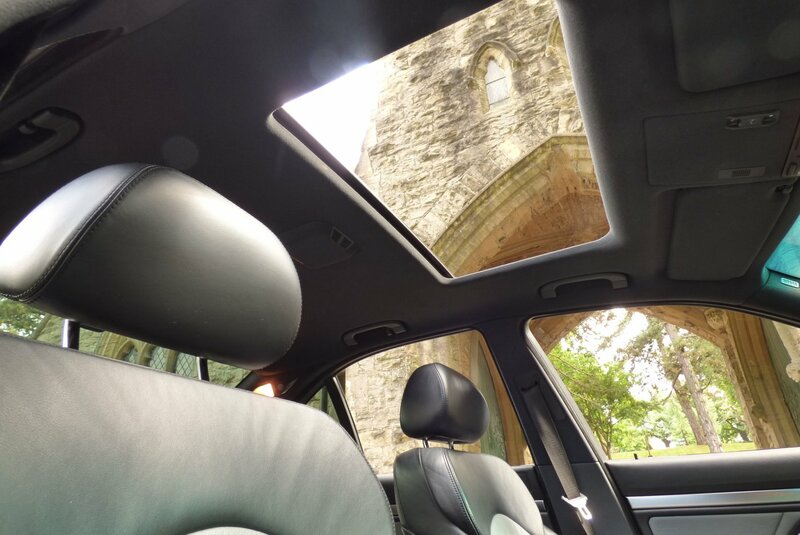 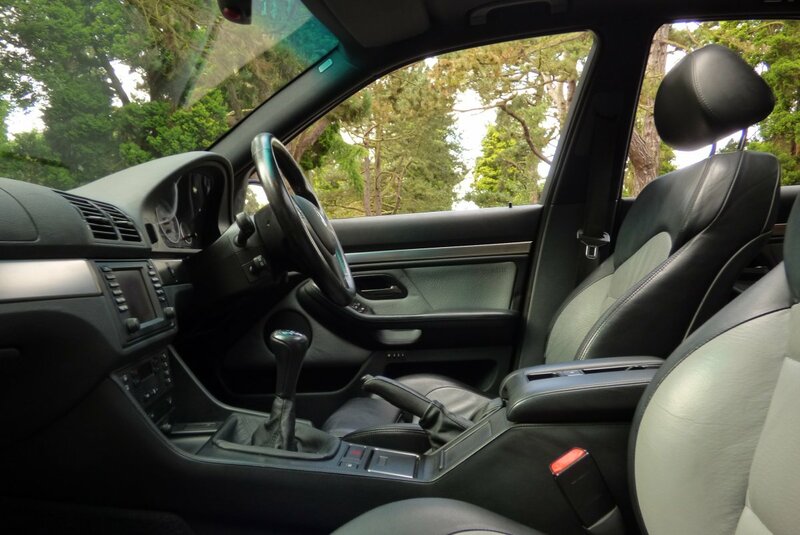 The Interior Is Stereo-Typically German On Build Quality, Offering The Driver And Passengers A Comfortable Relaxed Environment, Detailed With Exciting M Features That Keep You Thrilled, No Matter The Distance. 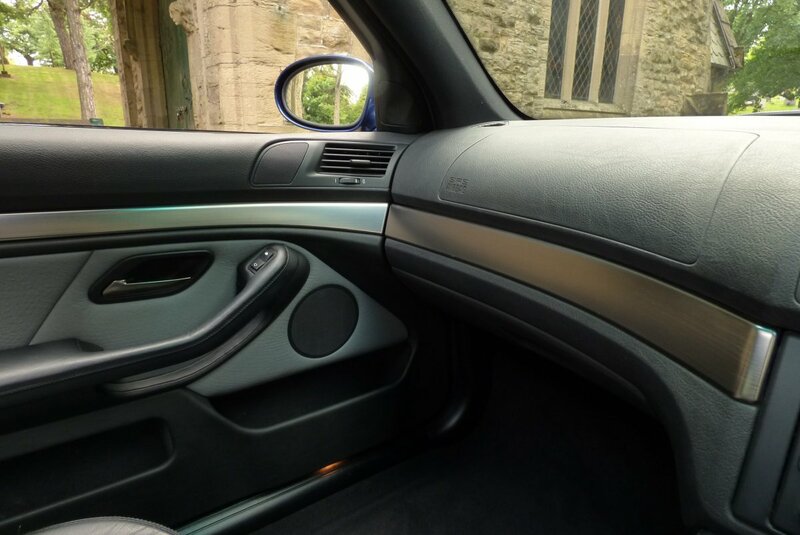 From Factory Build The Car Was Opted With The Two Tone Silverstone And Black Nappa Leather Seating Delicately Detailed With Black Twin Needle Stitchwork, A Black Leather Dash That Wraps Around The Inviting Cabin, Black Carpets, A Black Fabric Roof Lining And Beautifully Decorated With Titanium Interior Inlays That Finish The Effect. 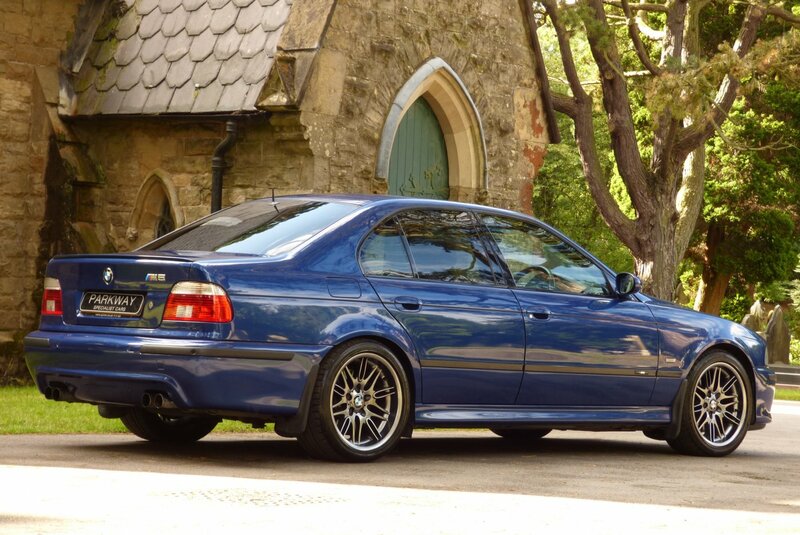 The M5 Was Also Packed With World Class Modern Day Technology, Meaning Either That Trip To The City Or That Special Weekend Away Was An Enjoyable One. 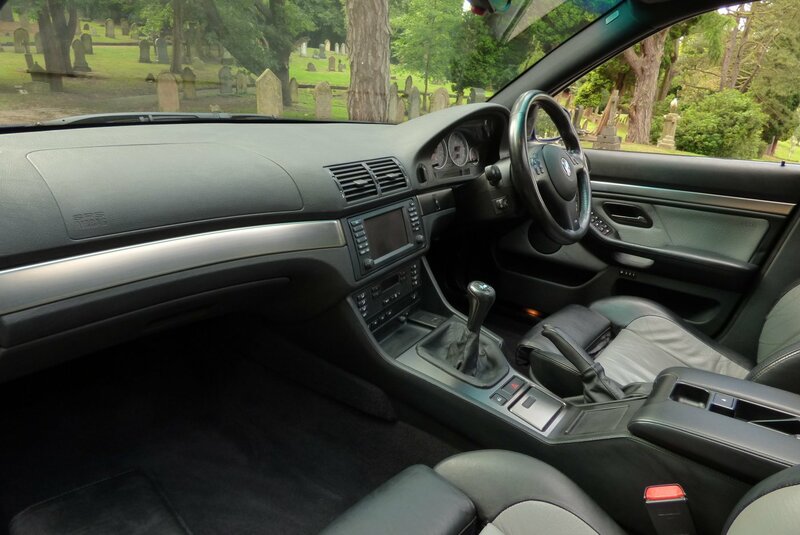 Comfortably Faster Than Other Saloon Cars. 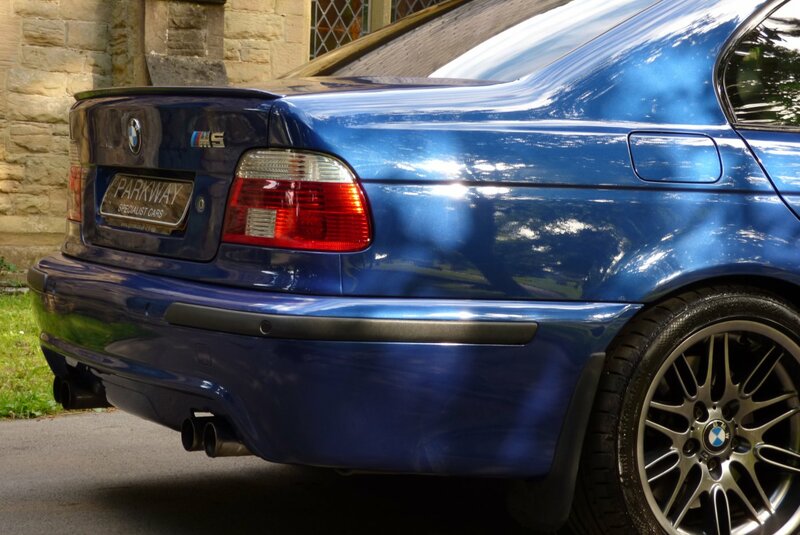 The Body Is Presented In Perfect Le Mans Blue Metallic Paint Work, Which Perfectly Showcases The Aggressive Exterior Curves And Sublime Lines. 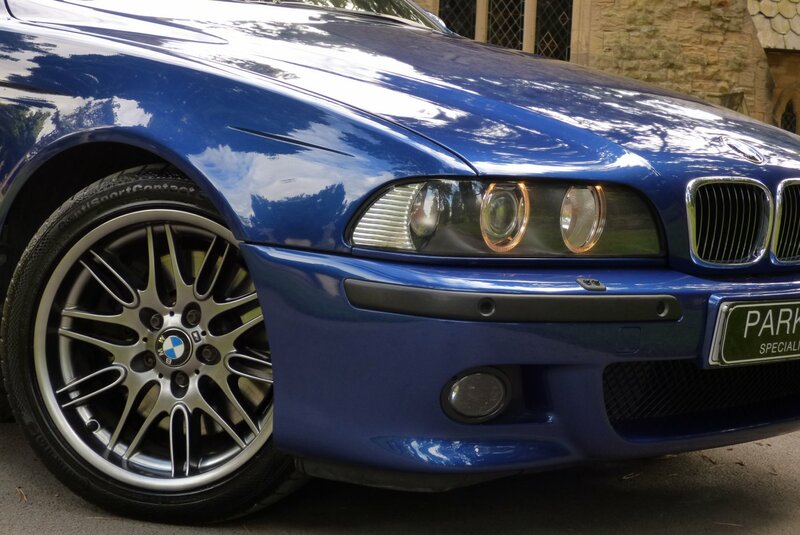 Further Factory Exterior Features Include 18" Light Alloy Parallel Spoke Styling III Alloy Wheels Which All Sit On Branded Tyres, The Chromed M Quad Exhaust System, Colour Coded M Mirrors, The Colour Coded Front Air Dam, The Chromed Kidney Front Grilles, The Signature M Body Detailing And Of Course Decorated With The Now World Famous M Badges. 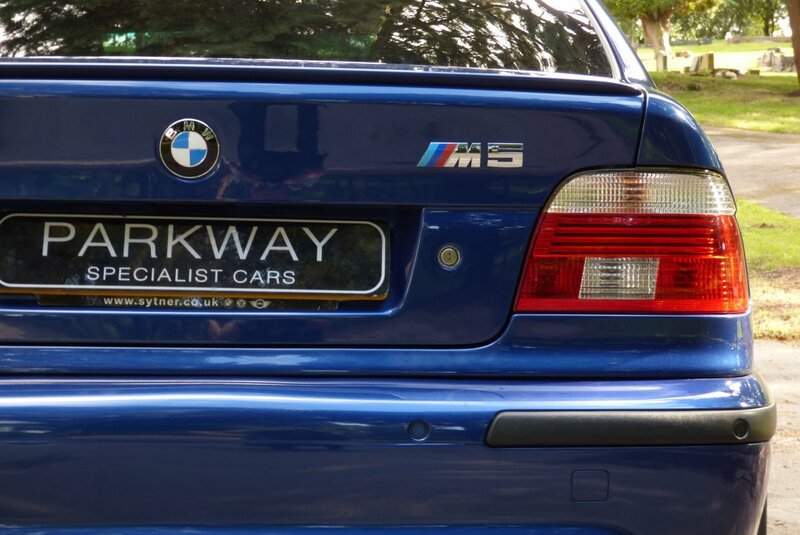 An Instant Modern Day Classic In The Making. 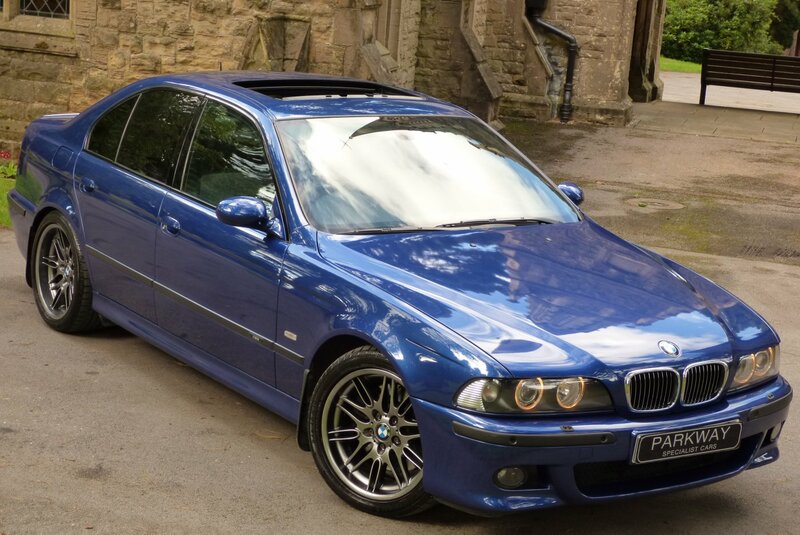 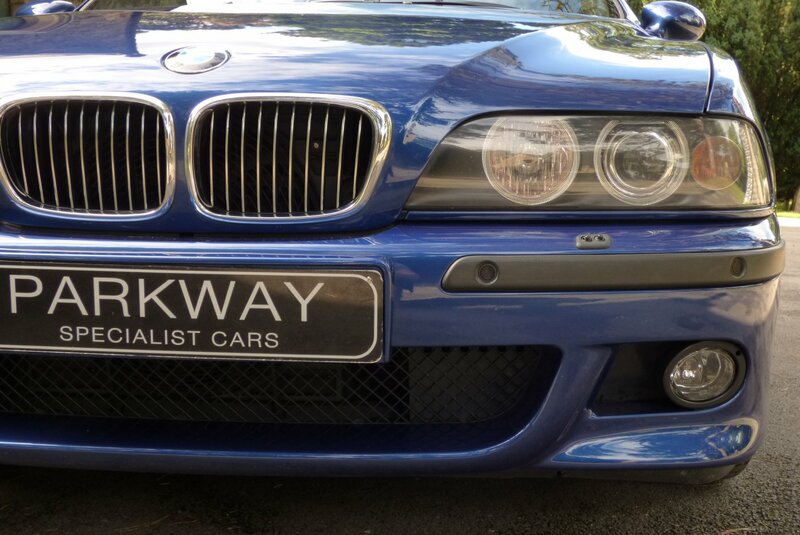 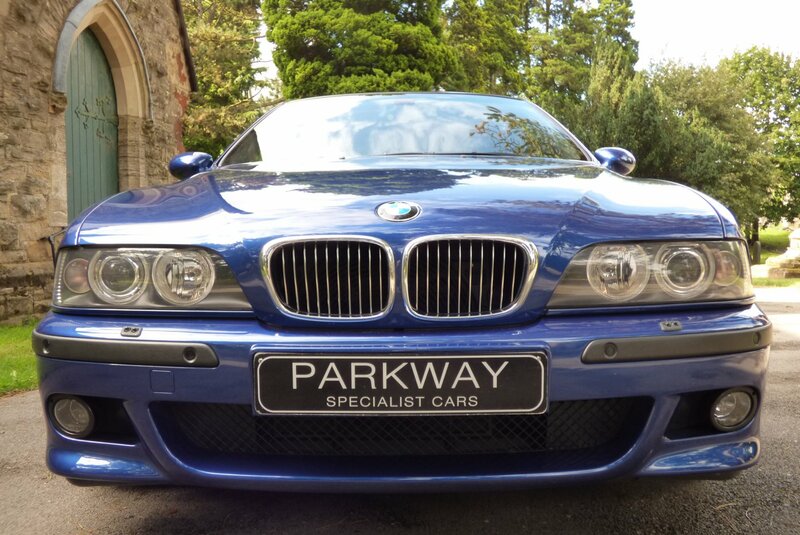 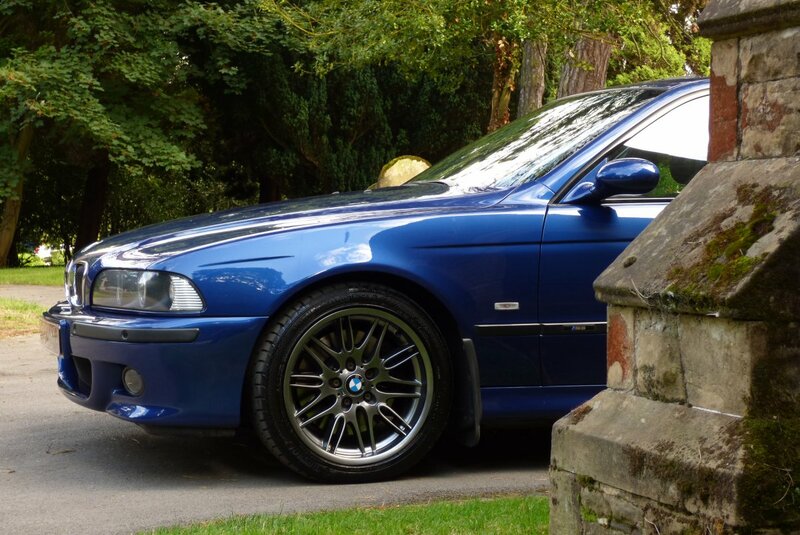 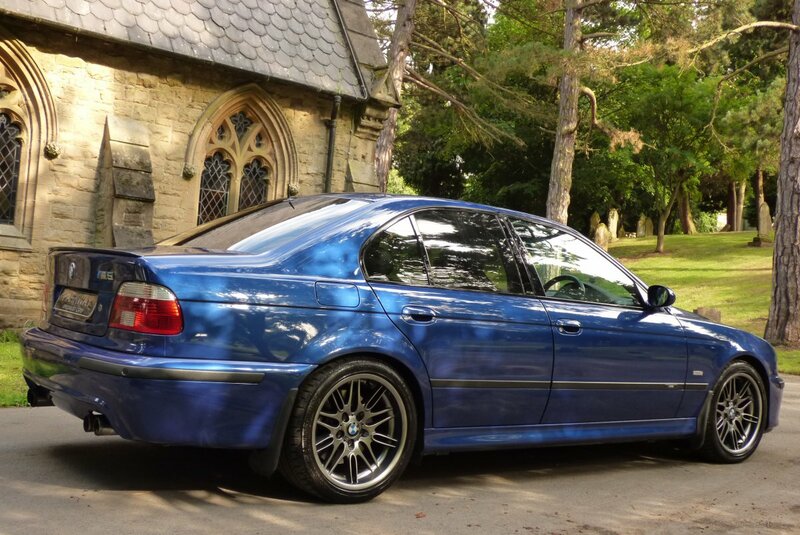 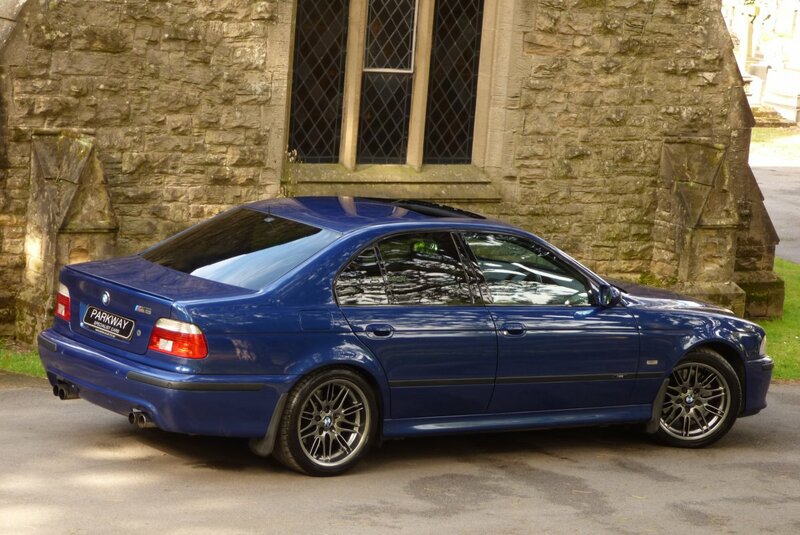 This Now Rare Example With Perfect BMW History Comes With Factory Specification To Include The Full Colour Information Screen With Satellite Navigation System, 18" Light Alloy Parallel M Alloy Wheels Which All Sit On Branded Tyres, Xenon Headlights With Power Wash Function, Electric Front Seating With Driver Memory, The Leather Bound Three Spoke M Multi Functional Steering Wheel With M Stitchwork, Dual Zone Climate Control, Electric Tilt And Slide Sunroof, Electric Windows, Electric Folding Mirrors, Remote Central Locking With Alarm, BMW Phone Preparation, Chromed Quad Exhaust System, Front And Rear Park Distance Control, Sun Protection Privacy Glass, Cruise Control, Variable Heated Front Seating, BMW Sports Mode, TM Traffic Information And So Much More. 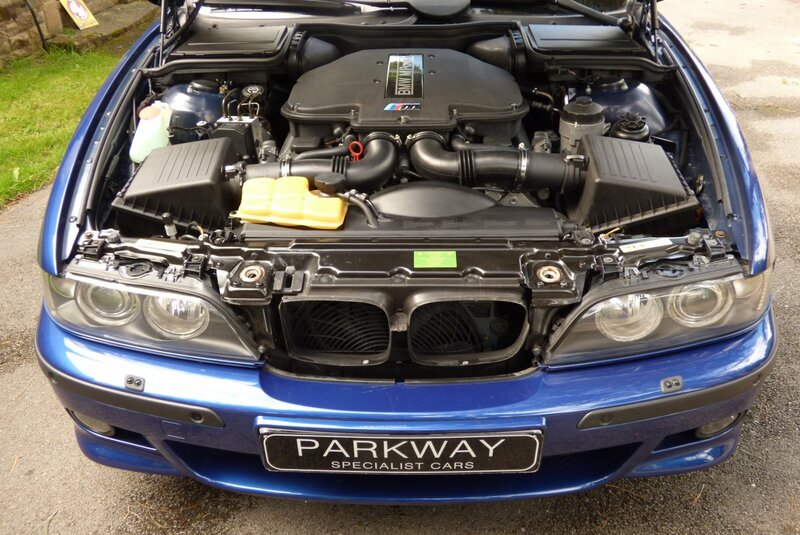 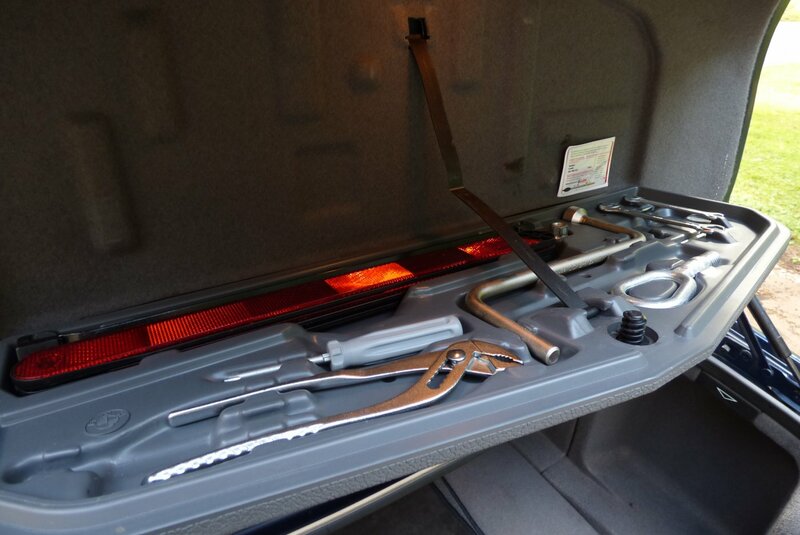 The Car Has The Entire Booklet Pack Set, A Fully Cleared Hpi Report And A Full Key Set For The Next Lucky Keeper.